Prof. Michio Tsutsui at the Unversity of Washington gives a keynote speech on August 4. The title is "『チャレンジへの対応：CALL - 過去・現在・未来』 Responding to the Challenge: CALL- Past to Future"
Michio Tsutsui, Director of the Technical Japanese Program, is a Donald Petersen Professor and an Associate Professor in Technical Communication at the University of Washington. After earning his B.S. (1970) in naval engineering from Osaka University, Japan, he worked for IBM Japan as a Systems Engineer for six years. He came to the United States in 1977 and obtained his M.A. (1980) and Ph.D. (1984) in linguistics from the University of Illinois at Urbana-Champaign. Before he assumed his current position at the University of Washington in 1990, he taught Japanese and Japanese linguistics at the University of California at Davis and Massachusetts Institute of Technology, where he began a Japanese language program and taught the Summer Intensive Technical Japanese Program. Since he joined the University of Washington, he has led several CALL projects and distance language programs, including Business Japanese Online ÇÑand the Japanese Program for Scientists and Engineers funded by the Department of Defense. He has written numerous books, book chapters, and articles on CALL, Japanese for Special Purposes, Japanese linguistics, and Second Language Acquisition. 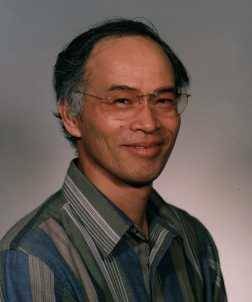 His publications include: A Dictionary of Basic Japanese Grammar (with Seiichi Makino, 1986); A Dictionary of Intermediate Japanese Grammar (with Seiichi Makino, 1995); Japanese for Special Purposes: Teaching Japanese to Engineers and Scientists (Chapter 9) in Advances in Japanese Pedagogy (ed. by H. Nara, 2002); Multimedia as a Means to Enhance Feedback, Computer Assisted Language Learning (2004).